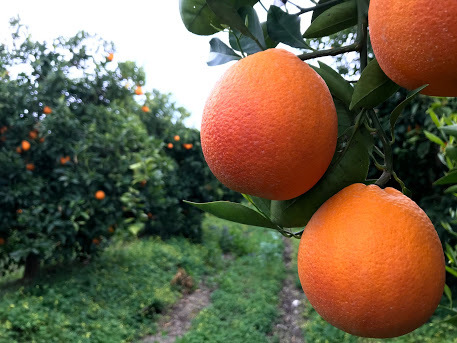 The blood orange industry in Sicily is changing: affected by a serious epidemic of the citrus tristeza virus (CTV Citrus Tristeza Virus) which has affected large areas of specialised citrus growing since 2010, many farmers have had to grub up infected plants. However this serious phytosanitary problem has also created positive conditions for the spread of varietal renewal, which is having a positive effect on the structure of the supply. The need to replace traditional rootstocks with new ones, tolerant to the virus, is therefore an opportunity to plant the new generation clones resulting from research by CREA – ACM (Research Centre for Citrus Agriculture and Mediterranean Crops) and the University of Catania. Significant improvements have been achieved with the lengthening of the season (anticipating the beginning and delaying the end) and the availability of clones with good pigmentation also of the skin, as well as the pulp. 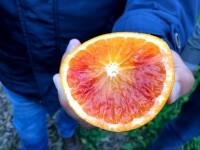 Traditionally, the season of Tarocco blood oranges for export started at the beginning of January, when the fruits of the Tarocco Comune, the most common clone in Sicily, begin to show a good internal coloring. The new Tarocco 2062, on the other hand, already shows a fairly good colouring in December. The Tarocco TDV is also spreading and, despite the significant presence of thorns on the plant that makes it difficult to manage (particularly due to possible damage to the skin of the fruit during the harvesting phase), shows an excellent internal color already in mid-November. The intense colouring of the flesh, due to the presence of anthocyanins, is a very appreciated factor also from the health point of view thanks to their antioxidant activity. For the later part of the season the Tarocco Meli is gaining popularity, a late clone (ripening April-May) with good internal pigmentation, peel of excellent consistency; the availability of season is completed by the Tarocco S. Alfio. These new clones allow to double the overall duration of the season, going from just over three months (December / January – March) to over six months (November – June). 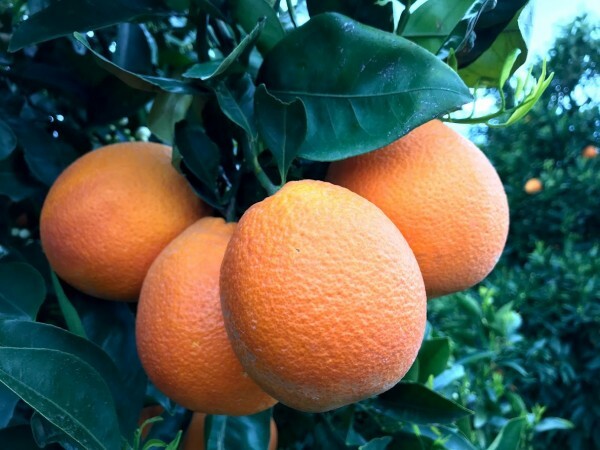 The new clones are also offering the solution to a problem that was holding back the development of Sicilian red oranges on the international markets. In fact, while the Italian market is familiar with Tarocco and appreciates it mainly for its taste qualities, buyers on international markets are often unable to make the consumer distinguish an orange skin Tarocco from a normal Spanish orange with a blond flesh, always sold at much lower prices. This is why the market has for some time been valuing the product that has a strong pigmentation of the skin, so much so that some varieties produced in other countries (Spain and South Africa) that have a more red blushed skin are undermining the market shares of the Italian product. Recently, clones of Tarocco have been spreading in Sicily with a good anthocyanin pigmentation in the skin, as well as the marked sweet-acid taste typical of the Sicilian product. In particular, Tarocco Ippolito and Tarocco Rosso are obtaining a growing interest on Italian and international markets for their high pigmentation. The fruit with the red blushed skin is able to attract consumers who also perceive visually the difference with a blond orange. Among the new clones, the Tarocco Lempso has an intense anthocyanic pigmentation of the skin. These innovations are currently only available in limited quantities and therefore only in high-end markets willing to pay a “premium”, but the rapid spread of new clones will allow a generalized lengthening of the offer and a better enhancement of the red orange even on the shelves of the large-scale retail trade, where the consumer buys mainly for the visual appeal.